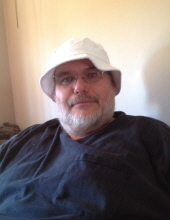 Roger Alan Belcher, 54 of Lewisburg, Kentucky died on Thursday, November 29, 2018, at Vanderbilt University Medical Center in Nashville, Tennessee. He was born Thursday, March 5, 1964 in Russellville, Kentucky, the son of the late Leonard Belcher and the late Wanda Brown Belcher. He was the husband of Laurie Gibbs Belcher who survives. He was an Electrical Tech with Schrader Electronics and a member of Walnut Grove Baptist Church. He was predeceased by sister, Carrie Belcher. A Funeral service will be at 11:00 AM on Saturday at Price Funeral Home, Inc. located at 252 E. Green St. Lewisburg, Kentucky 42256 with the Bro. Calvin Naylor officiating. Interment will be in Elk Lick Baptist Church Cemetery, Lewisburg, KY. The family will receive friends after 10:00 AM on Saturday, December 1, 2018, at Price Funeral Home, Inc., 252 E. Green St., Lewisburg, Kentucky. To plant a tree in memory of Roger Alan Belcher, please visit our Tribute Store. "Email Address" would like to share the life celebration of Roger Alan Belcher. Click on the "link" to go to share a favorite memory or leave a condolence message for the family.